The seat of the European Central Bank (ECB) is in Ostend ("East End"), Frankfurt am Main, Germany. The premises include the former Wholesale Market Hall (Großmarkthalle), a new 185/165 m twin-skyscraper and a new low-rise building to connect the two. East of the city centre, it houses the new headquarters for the European Central Bank (ECB). It was completed in 2014 and was officially opened on 18 March 2015. 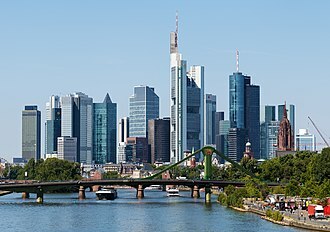 The ECB is required by the Treaties of the European Union to have its seat within the city limits of Frankfurt, the largest financial centre in the Eurozone. The ECB previously resided in the Eurotower and, due to lack of office space there, in three other high-rise buildings (Eurotheum, Japan Center, and Neue Mainzer Straße 32–36) in the city centre of Frankfurt. The newly built main office building consists of two towers that are joined by an atrium with four interchange platforms. The North tower has 45 storeys and a roof height of 185 m (607 ft), whereas the South tower has 43 storeys and a roof height of 165 m (541 ft). With the antenna, the North tower reaches a height of 201 m (659 ft). The new ECB premises furthermore comprises the Grossmarkthalle, a former wholesale market hall built from 1926–1928 and fully renovated for its new purpose. In 1999, an international architectural competition was launched by the bank to design a new building. It was won by a Vienna-based architectural office called Coop Himmelb(l)au. The building was to be 185 meters tall (201 meters with antenna), accompanied by other secondary buildings on a landscaped site on the site of the former wholesale market (Großmarkthalle) in the eastern part of Frankfurt. The main construction work was planned to commence in October 2008, with completion scheduled for before the end of 2011. Construction was put on hold in June 2008 as the ECB was unable to find a contractor that would build the Skytower for the allocated budget of €500 million due to the bidding taking place at the peak of the pre-late-2000s recession bubble. A year later with prices having fallen significantly the ECB launched a new tendering process broken up into segments. It is expected that the building will become an architectural symbol for Europe and is designed to cope with double the number of staff who operate in the Eurotower. The total cost of the project was between 1300 and 1400 million euros. For the total surface of 185 000 square meters, this gives a building cost in excess of 7000 euros per square meter. Staff began moving into the new building in November 2014, and the building was officially opened on 18 March 2015. The opening was marked by a three-day protest by the anti-capitalist Blockupy movement, an offshoot of the Occupy movement, and other opponents of the European troika, and by violence across Frankfurt on the opening day. Police used water cannons and tear gas against protestors, while demonstrators threw stones at police, firefighters and Frankfurt's trams, and set fire to cars and barricades. The ECB's new headquarters was reportedly selected as the venue for the demonstration so as to highlight the contradiction between the ECB's lavish spending on its own US$1.4-billion building while forcing cuts and market reforms on countries like Greece and Cyprus. Ulrich Wilken, an organiser, said: “Our protest is against the ECB, as a member of the troika, that, despite the fact that it is not democratically elected, hinders the work of the Greek government. We want the austerity politics to end.” The pan-European protests included members of Greece's radical left governing party Syriza and Spain's left-wing Podemos. ^ "ECB newsletter 5/2013" (PDF). European Central Bank. Retrieved 2 June 2013. ^ "Seat of the European Central Bank". CTBUH Skyscraper Center. ^ "Seat of the European Central Bank". SkyscraperPage. ^ "New ECB Premises". European Central Bank. Retrieved 8 March 2008. ^ "Consolidated versions of the treaty on European Union and of the treaty establishing the European Community" (PDF). Eur-lex. Retrieved 12 June 2007. ^ a b "New ECB premises. Facts and Figures" (PDF). European Central Bank. Retrieved 5 January 2015. ^ "Winning design by Coop Himmelb(l)au for the ECB's new headquarters in Frankfurt/Main". European Central Bank. 6 January 2003. Archived from the original on 9 June 2007. Retrieved 2 August 2007. ^ "Launch of a public tender for a general contractor to construct the new ECB premises". European Central Bank. 6 January 2003. Retrieved 2 August 2007. ^ "The European Central Bank formally closes the public tender for a general contractor to build the new ECB premises". European Central Bank. 25 June 2008. Retrieved 10 September 2008. ^ Rainer Schulze (27 June 2008). "Angebot für EZB-Turm lautete auf 1,4 Milliarden Euro". Frankfurter Allgemeine Zeitung (in German). Retrieved 5 August 2012. ^ Dougherty, Carter (16 November 2004). "In ECB future, a new home to reflect all of Europe". The International Herald Tribune. Retrieved 2 August 2007. ^ ECB (1 December 2014). "New Premises". European Central Bank. Retrieved 20 December 2014. ^ a b Bloomberg (18 March 2014). "ECB besieged by protests as Draghi celebrates $1.4bn tower". The Telegraph. Retrieved 18 March 2014. ^ "Mehrere Festnahmen bei Blockupy". Hessischer Rundfunk (in German). 18 March 2014. Archived from the original on 18 March 2015. Retrieved 18 March 2014. ^ "Straßenbahnen stehen, A661 gesperrt". Hessischer Rundfunk (in German). 18 March 2014. Retrieved 18 March 2014. ^ a b "At least 350 people arrested in protest at ECB HQ in Frankfurt". The Guardian. 18 March 2015. Retrieved 18 March 2015. ^ "'Blockupy' protesters clash with police at new ECB headquarters in Frankfurt". SCMP. 18 March 2015. Retrieved 18 March 2015. ^ "Thousands to protest in Frankfurt against ECB 'austerity'". Reuters. 15 March 2015. Retrieved 15 March 2015. ^ "Germany riot targets new ECB headquarters in Frankfurt". BBC News. 18 March 2015. Retrieved 18 March 2015. Wikimedia Commons has media related to New European Central Bank Premises. 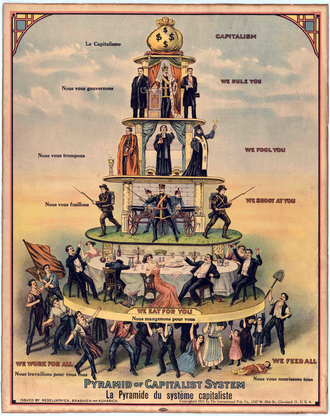 Anti-capitalism encompasses a wide variety of movements and attitudes that oppose capitalism. Anti-capitalists, in the sense of the word, are those who wish to replace capitalism with another type of economic system. State or worker cooperative ownership is in opposition to private ownership of means of production. 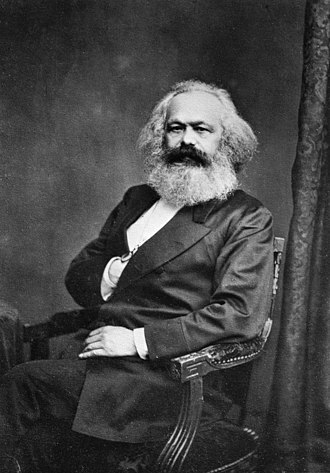 Most socialists argue that capitalism unfairly concentrates power and profit, among a segment of society that controls capital. 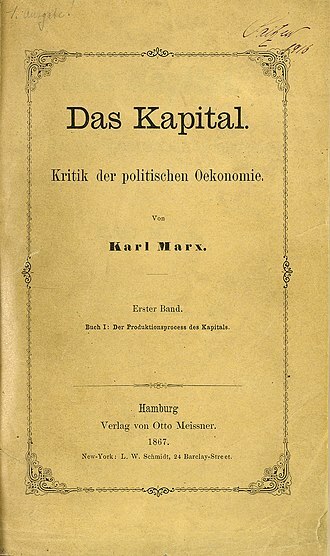 Socialists argue that the accumulation of capital generates waste through externalizations that require costly corrective regulatory measures, socialists view private property relations as limiting the potential of productive forces in the economy. For the influential German individualist anarchist philosopher Max Stirner private property is a spook which lives by the grace of law, in other words, private property exists purely through the protection of the State, through the States grace. And what is their principle, whose protector they always love, not that of labour, rather it is interest-bearing possession. Labour certainly, yet little or none at all of ones own, and so to fight against capitalism is a pointless task, since be it State capitalism or Enterprise capitalism, as long as Government exists, exploiting capital will exist. The fight, but of consciousness, is against the State and it is a negatively connoted term used to draw an analogy between slavery and wage labor by focusing on similarities between owning and renting a person. Libertarian socialists believe if freedom is valued, society must work towards a system in which individuals have the power to economic issues along with political issues. American anarchist Emma Goldman believed that the system of capitalism was incompatible with human liberty. She argued that capitalism dehumanized workers, turning the producer into a particle of a machine, with less will and decision than his master of steel. Noam Chomsky contends that there is little difference between chattel slavery and renting ones self to an owner or wage slavery. He feels that it is an attack on personal integrity that undermines individual freedom and he holds that workers should own and control their workplace. Deconstructivism is a movement of postmodern architecture which appeared in the 1980s, which gives the impression of the fragmentation of the constructed building. It is characterized by an absence of harmony, continuity, or symmetry and its name comes from the idea of Deconstruction, a form of semiotic analysis developed by the French philosopher Jacques Derrida. Architects whose work is described as deconstructionism include Peter Eisenman, Frank Gehry, Zaha Hadid, Rem Koolhaas, Daniel Libeskind, Bernard Tschumi. Besides fragmentation, Deconstructivism often manipulates the structures surface skin and creates by non-rectilinear shapes which appear to distort, the finished visual appearance is characterized by unpredictability and controlled chaos. The New York exhibition featured works by Frank Gehry, Daniel Libeskind, Rem Koolhaas, Peter Eisenman, Zaha Hadid, Coop Himmelbau, since the exhibition, some architects associated with Deconstructivism have distanced themselves from it. Nonetheless, the term has stuck and has come to embrace a general trend within contemporary architecture, Tschumi believed that Deconstructivism was simply a move against the practice of Postmodernism, which he said involved making doric temple forms out of plywood. The term Deconstructivism in contemporary architecture is opposed to the rationality of Modernism and Postmodernism. Though postmodernist and nascent deconstructivist architects both published in the journal Oppositions, that journals contents mark a break between the two movements. Deconstructivism took a stance to architectural history, wanting to disassemble architecture. In addition to Oppositions, a text for both deconstructivism and postmodernism was Robert Venturis Complexity and Contradiction in Architecture. It argues against the purity and simplicity of modernism, with its publication and rationalism, the two main branches of modernism, were overturned as paradigms. The reading of the postmodernist Venturi was that ornament and historical allusion added a richness to architecture that modernism had foregone, some Postmodern architects endeavored to reapply ornament even to economical and minimal buildings, described by Venturi as the decorated shed. Rationalism of design was dismissed but the functionalism of the building was still somewhat intact and this is close to the thesis of Venturis next major work, that signs and ornament can be applied to a pragmatic architecture, and instill the philosophic complexities of semiology. The Euro summit is the meeting of the heads of state or government of the member states of the eurozone. It is distinct from the EU summit held regularly by the European Council, the Euro summit began as an offshoot of the Euro Group, which is the meeting of the eurozone members finance ministers. The eurozone economic government would discuss issues with the European Central Bank, sarkozy stated that only heads of state and government have the necessary democratic legitimacy for the role. This idea was based on the meeting of leaders in 2008 who met to agree a co-ordinated eurozone response to the banking crisis. They first met in the format in October 2008, in response to the debt crisis. Subsequent meetings took place in March 2010, May 2010, March 2011, July 2011, in the October 2011 meeting, it was agreed to formalise the Euro summit, as at least twice yearly meeting, via a possible new treaty change. A Euro summit President, separate from the Euro Group President, would be elected at the time as the President of the European Council. 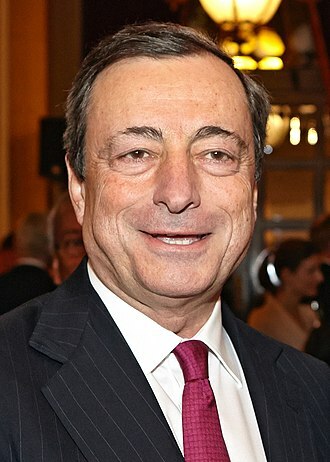 Until such an election takes place, the European Council President fulfils that role, in October 2011, the Eurozone head of states agreed to meet at least twice per year, as part of measures to improve governance of the Eurozone. Meetings were chaired by president Herman Van Rompuy from March 2010 to November 2014, Donald Tusk has been the Euro Summit president since December 1,2014, and ends his term on May 31,2017. The table below lists the date and summary reports of all previous Euro Summits, for unknown reasons, only one Euro Summit meeting per year took place in 2013 and 2014. In its informal capacity, the de facto summit President has been the European Council President, the proposals for formalisation of the summit include electing a President along the same lines as the European Council President, and until Van Rompuy continues to chair the summit. On 1 March 2012, he was elected as President of the Euro Summit for the term 1 June 2012 to 30 November 2014. New president for the term 1 December 2014 until 31 May 2017, is the former Polish Prime Minister Donald Tusk, notes Presidents of other EU institutions, such as the President of the European Commission and the European Central Bank President attend. The seven institutions of the European Union are seated in four different cities, viz. Brussels, Frankfurt and Strasbourg, rather than being concentrated in a single capital city. The EU agencies and other bodies are located all across the union, the Hague is the only exception, as the fixed seat of the European Police Office. 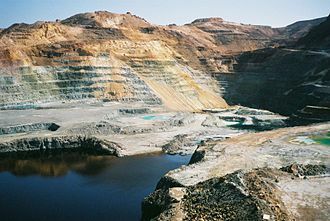 The seats have been a matter of dispute since the states first failed to reach an agreement at the establishment of the European Coal. However, an agreement between member states was reached in 1992, and attached to the Treaty of Amsterdam. Despite this, the seat of the European Parliament remains controversial, the work of Parliament is divided between Brussels and Strasbourg, which is seen as a problem due to the large number of MEPs, and documents which need to be moved. As the locations of the seats have been enshrined in the treaties of the European Union, Parliament has no right to decide its own seat. Locating new bodies is not without political disputes. The European Central Banks seat had to symbolise its independence from political control, new agencies are being based in eastern Europe since 2004 to balance the distribution of agencies across the EU. The treaties of the European Union outline the locations of the institutions, The European Parliament has its seat in Strasbourg. Brussels hosts additional sessions and committees, Luxembourg hosts the Secretariat of the European Parliament. The Council of the European Union has its seat in Brussels, except during April and October, the European Commission has its seat in Brussels, although some departments are hosted by Luxembourg. The European Court of Justice, the General Court, and the Court of Auditors are based in Luxembourg along with the European Investment Bank, the Treaty of Nice establishes Brussels as the venue for all formal summits of the European Council after 2004. However some extraordinary sessions are held outside the city. The European Councils seat is fixed by a declaration rather than a protocol. The 2011 Treaty Establishing the European Stability Mechanism states that the seat of the ESM must be in Luxembourg, the ESM should be ratified and active in mid-2013 and it is allowed to establish a liaison office in Brussels. The Frankfurt am Main tramway network is a network of tramways forming a major part of the public transport system in Frankfurt am Main, a city in the federal state of Hesse, Germany. As of 2012, there were 10 tram lines, along with two lines and one heritage tourist tramline. The network was integrated into the Frankfurt U-Bahn, with the systems sharing both street running and reserved track. In 2012, the network had 136 stations, and a route length of 67.25 kilometres. In the same year, the network carried 49.9 million passengers, the network is the oldest light rail system in the city, the first horse tram lines having started operations in 1872. 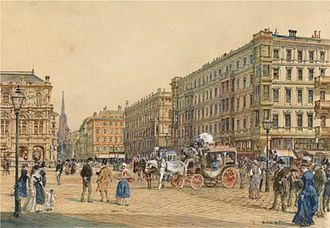 It includes one of the first electric tramways in the world, for many decades in the mid-20th century, it was the firm policy that Frankfurts trams would eventually be phased out and replaced by buses and extensions of the U-Bahn. With the start of construction of the Frankfurt U-Bahn closures began in 1963 on the tram, underground and S-Bahn should replace the trams in the medium completely. The first metro line was opened in 1968, the second in 1974, any progress in the rail network led to the closure of tram lines in order to avoid inefficient parallel traffic. This led to increasing criticism of this concept, culminating in public protests, within a year, nearly 60,000 people signed for the preservation of the tram lines. Newspapers and television devoted to the conflict, even personalities like Professor Bernhard Grzimek and the subsequent DGB regional chairman Dieter Hooge expressed public criticism of the concept. As a result of protests, the Regierungspräsidium Darmstadt rejected on 27 May 1986. The Frankfurt Mayor Wolfram Brück criticized this decision and threatened with the withdrawal of Frankfurt from the Frankfurter Verkehrsverbund, two days before the scheduled opening of the new subway route shifted bridge the opening of the underground indefinitely and banned all opening ceremonies. Only a few weeks signaled the CDUs willingness to get the old town route bus No.11, in turn, the provincial government Hartmut Wierscher renounced the maintenance of three additional lines. Blockupy is a movement protesting against austerity. The Blockupy alliance includes trade unions and Germanys Linkspartei, organisers have verbally supported Greek finance minister Yanis Varoufakiss criticism that ECB policy towards Athens is “asphyxiating”. Thousands of people attended the first demonstration in Frankfurt in 2012, in 2013, protests in Frankfurt were met with heavy police violence. 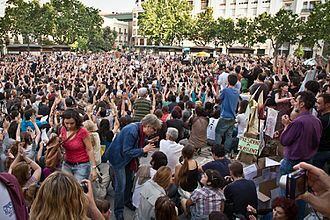 A peaceful demonstration was stopped,1000 protesters were kettled for hours, police action was criticized heavily afterwards nationally and internationally. 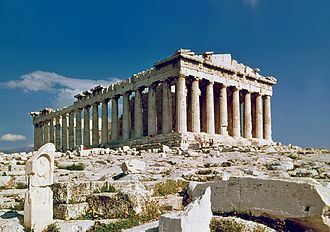 4-billion building while forcing cuts and market reforms on countries like Greece and Cyprus. Ulrich Wilken, an organiser, said, “Our protest is against the ECB, as a member of the troika and we want the austerity politics to end. ”The pan-European protests included members of Greeces radical left governing party Syriza and Spains anti-corruption Podemos. The day included both peaceful protest and violent direct action, on the other side of Frankfurt, around 3,000 attempted to break through the security fence of the ECB. At least 350 people were arrested, and 280 people were injured, the Blockupy representative from the Attac group described themselves as appalled and saddened by some actions, but said that the majority of the protest was justified civil disobedience. Blockupy organizers from the Ums Ganze and Interventionist Left groups explicitly refused to distance themselves from the violence, the Federal Office for the Protection of the Constitution announced an investigation into whether the uninvited right-wing groups played a role in the violence that followed. Protesters attacked police officers with stones ahead of the demonstration, video footage showed police dragging at least one person away. Police used tear gas, water cannons and pepper spray against people in the ECB area, as well as the action against the ECB, some attendees targeted private cars, banks and transport infrastructure. Eight bus and tram stops were vandalised, causing around €50,000 of damage, according to police figures,30 cars, including some police vehicles, were set on fire. A home for refugees was attacked and staff threatened. Coop Himmelbau is a cooperative architectural design firm primarily located in Vienna and which maintains offices in Los Angeles, United States, and Guadalajara, Mexico. In German, coop has a meaning to the English co-op. In German, Himmel means “sky” or “heaven”, and blau means “blue” while bau means “building” or “to build/construct”, so, the name can be interpreted either as “Blue Sky Cooperative” or “Heaven Building/Construction Cooperative”. Their work ranges from commercial buildings to residential projects, the office has been trying to change the usual design paradigm since its foundation. The office tries to develop a radical design truth a realistic approach, the philosophy of the office can be summarised with their 1980s manifesto “Architecture must blaze, ”. We want architecture that has more to offer, architecture that bleeds, that turns and even breaks, as far as I am concerned. 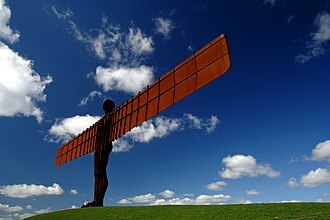 Architecture that glows, that stabs, that tears and rips when stretched, architecture must be precipitous, smooth, angular, round, colourful, randy, dreamy, en-nearing, wet and heart-stopping. Hesse or Hessia is a federal state of the Federal Republic of Germany, with just over six million inhabitants. 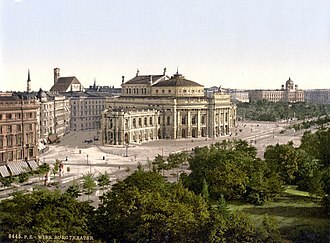 The state capital is Wiesbaden, the largest city is Frankfurt am Main, the English name Hesse originates in the Hessian dialects. The variant Hessia comes from the medieval Latin Hassia, the German term Hessen is used by the European Commission because their policy is to leave regional names untranslated. 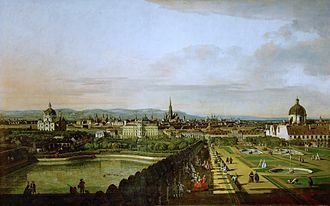 The term Hesse ultimately derives from a Germanic tribe called the Chatti, an inhabitant of Hesse is called a Hessian. The synthetic element hassium, number 108 on the table, is named after the state of Hesse. As early as the Paleolithic period, the Central Hessian region was inhabited, due to the favorable climate of the location, people lived there about 50,000 years ago during the last glacial period, as burial sites show from this era. Finds of paleolitical tools in southern Hesse in Rüsselsheim suggest Pleistocene hunters about 13,000 years ago, the Züschen tomb is a prehistoric burial monument, located between Lohne and Züschen, near Fritzlar, Germany. Classified as a grave or a Hessian-Westphalian stone cist, it is one of the most important megalithic monuments in Central Europe. 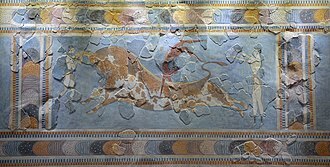 Dating to the fourth millennium BC, it belongs to the Late Neolithic Wartberg culture. An early Celtic presence in what is now Hesse is indicated by a mid-fifth-century BC La Tène style burial uncovered at Glauberg, the region was settled by the Germanic Chatti tribe around the first century BC, and the name Hesse is a continuation of that tribal name. The ancient Romans had a camp in Dorlar, and in Waldgirmes directly on the eastern outskirts of Wetzlar was a civil settlement under construction. Presumably, the government for the occupied territories of the right bank of Germania was planned at this location. The governor of Germania, at least temporarily, likely had resided here, the settlement appears to have been abandoned by the Romans after the devastating Battle of the Teutoburg Forest failed in the year 9 AD. The Chatti were involved in the Revolt of the Batavi in 69 AD, Hessia occupies the northwestern part of the modern German state of Hesse, its borders were not clearly delineated. Eurotower is a 40-storey,148 m skyscraper in the Innenstadt district of Frankfurt, Germany. The building served as the seat of the European Central Bank until 18 March 2015, as of March 2015, the ECB still occupies most of the Eurotowers 78,000 m2 of office space. The tower was designed by architect Richard Heil and was built between 1971 and 1977, the first main tenant was the Bank für Gemeinwirtschaft. The building was used by the European Monetary Institute, the forerunner of the European Central Bank that was established in 1998. 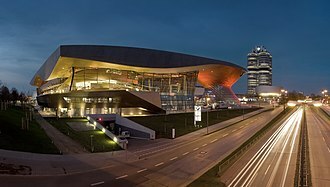 The building is located at Willy-Brandt-Platz in Frankfurts central business district, there is a Euro Information Centre of the ECB on the ground floor open to the public. Until 2013, a club/restaurant called Living XXL was situated in the basement, right next to the building is an underground U-Bahn station and an above-ground tram station. Because of the space in the Eurotower the personnel of the ECB were distributed between two other skyscrapers in the Bankenviertel, the Eurotheum and Neue Mainzer Straße 32-36. The Coalition of the Radical Left, mostly known by the syllabic abbreviation Syriza, is a left-wing political party in Greece, founded in 2004 as a coalition of left-wing and radical left parties. The party colors are red and purple, the current leader and prime minister of Syriza is Alexis Tsipras. Review the role of the European Union and redetermine Greeces position on it, the Space provided the common ground from which several of the member parties and organizations launched the Greek Social Forum, part of the larger European Social Forum. The defining moment for the birth of Syriza came with the election of 2004. Most of the participants of the Space sought to develop a platform that could lead to an electoral alliance. This led to the formation of the Coalition of the Radical Left. In the election, the coalition gathered 241,539 votes, all six were members of Synaspismós, the largest of the coalition parties. This led to tension within the coalition. After the 2004 election, the parties accused Synaspismós of not honoring an agreement to have one of its members of parliament resign so that Yannis Banias of the AKOA could take his seat. Tension built up and resulted in the split of the Internationalist Workers Left, the frame of the crisis within SYRIZA was the reluctance of Synaspismós to adopt and maintain the political agreement for a clear denial of centre-left politics. The crisis ended in December 2004 with the 4th convention of Synaspismós, the coalition ticket in the municipality of Athens was headed by Alexis Tsipras, proposed by Alavanos who declared Synaspismóss opening to the new generation. On 16 September 2007, Syriza gained 5. 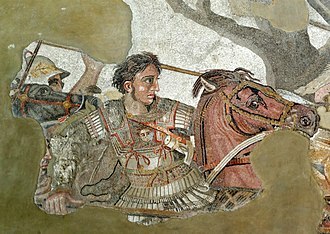 0% of the vote in the 2007 Greek legislative election, opinion polls had already indicated that the Coalition was expected to make significant gains in the election, with predictions ranging from 4% to 5% of the electorate. Prior to the election, on 22 June, the parties had agreed on a common declaration. The Coalition of 2007 has expanded from its composition in 2004. On 20 June 2007, the Communist Organization of Greece announced its participation into the Coalition, on 21 August the environmentalist Ecological Intervention joined, and on 22 August 2007, the Democratic Social Movement announced its participation in the Coalition. Libeskind's Imperial War Museum North in Trafford, Greater Manchester (2002). 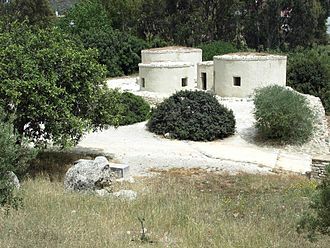 An archetype of deconstructivist architecture, it comprises three fragmented, intersecting curved volumes, symbolizing the destruction of war. 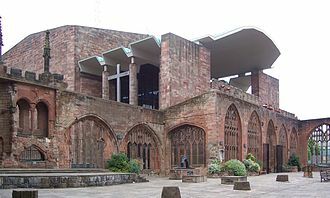 Coventry Cathedral, showing the new building by Arup in the background. 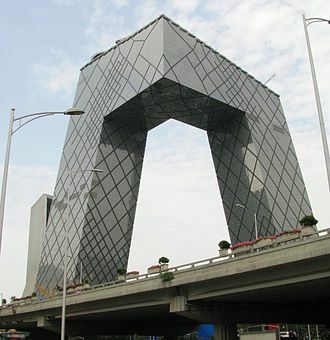 CCTV Headquarters in Beijing's central business district nearing completion (August 2008). Former President of SYRIZA, Alekos Alavanos, speaking in Athens. Six party leaders' televised debate ahead of the 2009 Greek legislative elections. Alexis Tsipras, the leader of Syriza, is in the centre. Parliament's trips between Brussels and Strasbourg (image) have been criticised on grounds of democracy, cost, environmental impact, and practicality. A Blockupy protest at Frankfurt Airport in 2013. Police car burned down during Blockupy movement protests, 18 March 2015. Frankfurt am Main type R tram no. 021 at Ernst-May-Platz, Bornheim, 2007.